As a communication designer Jau has always been interested in social and sustainable solutions. He believes that design is a tool with which people can enhance their lives, innovate, and solve real problems. His interest in social change is based on a faith in empathy; that we are capable of designing better places to live and ways to empower everyone in our communities to build a better world. 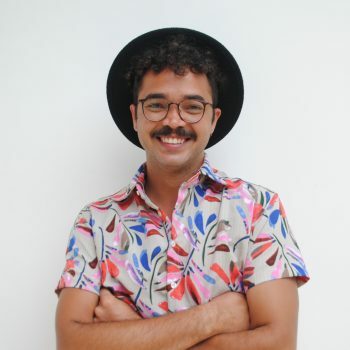 Jau graduated with a degree in Design in Bahia, Brazil and did his post-graduate studies in Sao Paulo where he also worked in marketing, advertising and graphic design. He then continued his professional path exploring how design can improve virtual user experiences, with a knack for simple and timeless designs that align technique and creativity. Following his interest in social challenges, he became an Amani Fellow in 2016 and then joined the team. His life’s journey reflects his passion to explore how to live a life of balance and integrate purpose into his professional life, while continuously exploring what the world has to offer.